We believe that you should be able to comply with the GDPR without it being onerous or difficult. It should be part of your business and work intuitively for you. We work with your staff to increase their knowledge and create a culture where the knowledge of privacy requirements is embedded throughout the organisation. Our solutions are tailor made for your circumstances and needs. We create policies and procedures to support increasing staff knowledge and provide a framework to work to. We are working to create the best solution for you. 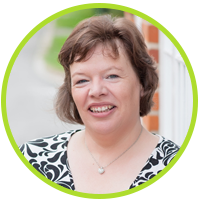 Lesley is a qualified Data Protection Officer with 15 years experience working with Charities and SME’s. A process improvement background creates the right solutions for each client. Lesley also holds a Level 5 coaching qualification from the institute of Leadership and Management so can support your teams as they make any necessary improvements to systems, processes and policies. Lesley is also a qualified risk manager and a Certified ISMS Lead Auditor (CIS LA) so works with our ISO clients. Ian Cooley is a qualified Data Protection Officer with 5 years experience in charities and SME’s. A 25 year background in internal audit means he can easily identify where improvements can be made and can work at various levels within an organisation, understanding the priorities for each department. 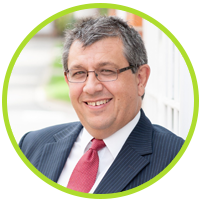 Ian is a qualified accountant so understands the need for cost effective resolutions that provide a good return on investment. He also takes the lead for our various training programmes.